The number of email reminders sent every day can be big and sometimes it may be frustrating to try to have control over all of them. 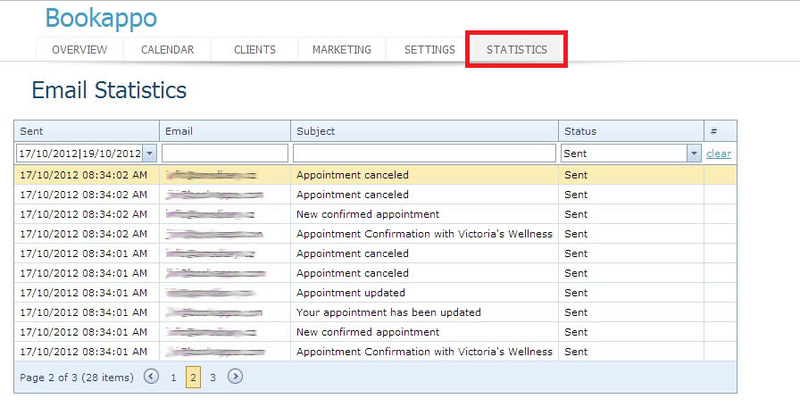 Bookappo is now offering a simple feature called “Statistics”. This feature enables all users to see the status of all email reminders, whether they are sent, expired, failed or waiting. 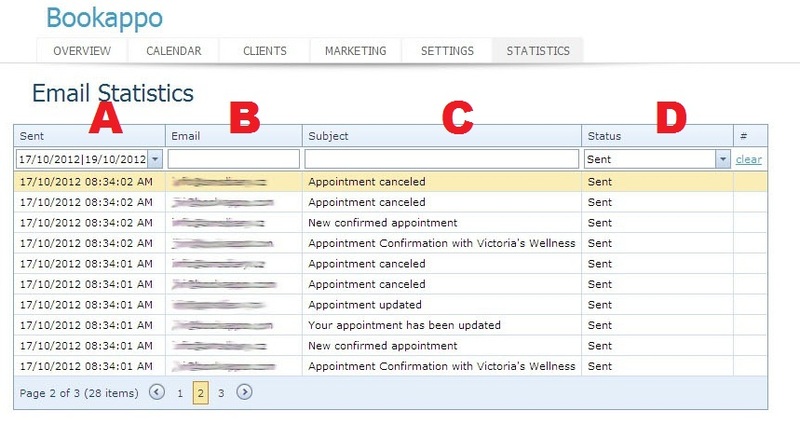 Combined with other features such as one-click resend, fast reminder text editor and easy search tool, it makes for a great addition to our appointment scheduling software. On the following lines, we will show you, how “Statistics” work and how to fully take advantage of what it offers. 1. Statistics can be accessed via clicking on the Statistics button on your main bar in Bookappo. 2. 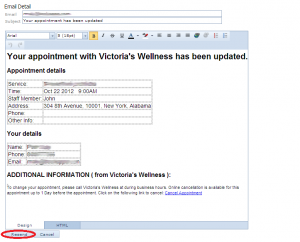 Immediatly, you will see a list of all email reminders. 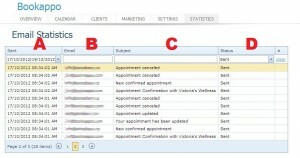 You can search for particular emails by choosing for instance the date(A), writting the email address(B) or by writing the subject of the email(C) (e.g. 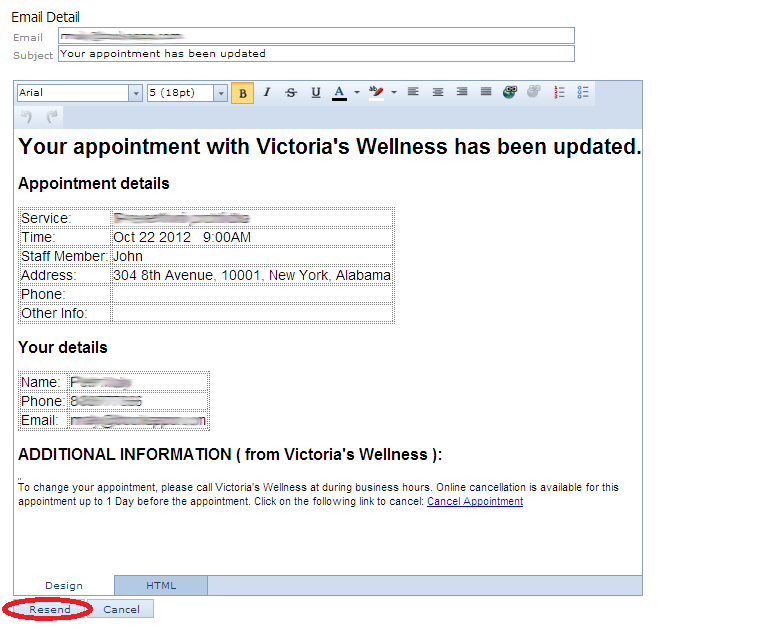 Appointment Confirmation) or choosing the email status(D) itself. 3. 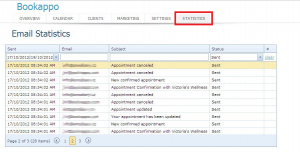 Email text editor is also included in Statistics and allows you to easily edit the chosen email and then resend it. This entry was posted in News & Improvements, Tips & Tricks and tagged Edit, Email Reminder, Statistics, Tutorial by admin. Bookmark the permalink.